Police have targeted active burglars across Northumberland and North Tyneside, making 11 arrests. 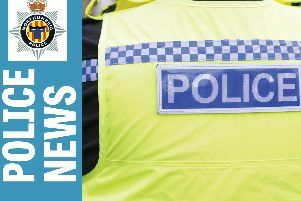 Between Friday, October 14, and Friday, October 21, police carried out raids at addresses in North Shields, Ashington, Blyth and Cramlington of those suspected of committing burglary, arresting eight men and three women on suspicion of burglary. Of those arrested, two people from North Shields, a 35-year-old man and 32-year-old woman, and a man aged 41 and a woman aged 25 from Cramlington have all been charged with burglary. The remaining seven people have all been bailed pending further inquiries. Inspector Martin Brooks said: "This latest burglary operation has focused on targeting those we suspect of being actively involved in committing crimes in our neighbourhoods in Northumberland and North Tyneside. This activity has been intelligence-driven and we want to make it clear that this is just the latest instalment in our ongoing work to tackle burglary. "We know this crime is one that particularly concerns residents and causes great distress when it does happen." Neighbourhood officers are also continuing to carry out patrols in areas that have had burglaries reported to prevent further crimes. Insp Brooks added; "We'd also ask members of the public to help us to keep them safe by keeping their doors and windows securely locked, this really is the best defence against opportunist burglars. Also do be vigilant, and if you do see someone acting suspiciously where you live, call the police straightway on 101."